John Park’s Workshop — LIVE! 12/21/17 @johnedgarpark @adafruit @briankesinger #adafruit #starwars « Adafruit Industries – Makers, hackers, artists, designers and engineers! JOHN PARK’S WORKSHOP — LIVE! Coming up 4pm ET Today, 12/21/17! LIVE TEXT CHAT IS HERE in the Adafruit Discord chat! On today’s show: Star Wars AT-AT Collaboration with artist Brian Kesinger! 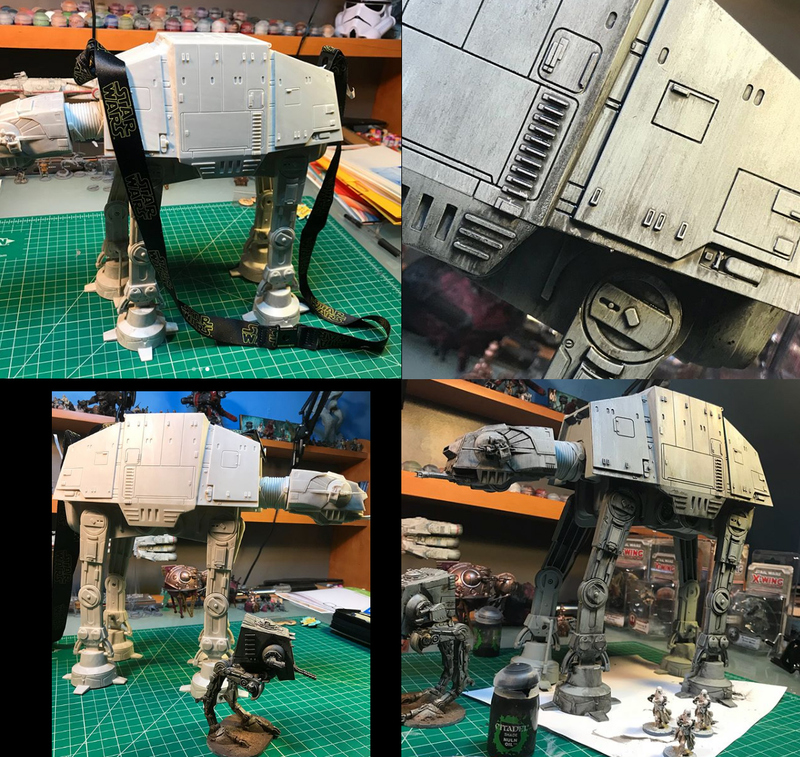 This humble Disneyland popcorn bucket has been transformed by Brian using paint into an awesome model for use in tabletop gaming — Imperial Assault and Star Wars Legion by Fantasy Flight. Today I’ll start the planning for on-board sound effects and lighting!